Under Rule 2 “Bank Account” has now been defined as “a bank account in a core banking compliant bank, which is integrated with the Public Financial Management System (PFMS)”. Until recently there was a common online Form FC-3 for seeking Registration, Prior Permission or Renewal under FCRA. However, Form FC-3 has now been sub-divided into three separate online forms. 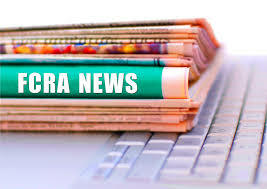 Under Rule 9 Application for Registration under FCRA must now be made electronically online in Form FC-3A, application for obtaining Prior Permission should be made electronically online in Form FC-3B and application for Renewal should be made electronically online Form FC-3C. The period for seeking late renewal has been extended from four months after expiry of the certificate of registration to one year but with a late fee charge of Rs. 5,000/-. Ideally, one should apply for renewal of the certificate of Registration anywhere between one year to at least six months prior to the date of validity of the Registration Certificate. In Form FC-4 “details of foreigners as Key functionary/working/associated” and “details of land and buildings remaining unutilized for more than two years” has been sought. Form FC-6E for change in key members. It is very high it is not good for small scale NGOS ACROSS THE COUNTRY. Kindly do continue as RS 2000only for onther five years.